Everyone knows that for every girl's wedding -It is a kind of fairy tale, in which everything must be perfect. Exquisite, flawless makeup, a stylish haircut, good room. 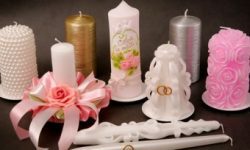 This, of course, all very important, but also the little things play a big role in creating a unified image of modern, stylish wedding. 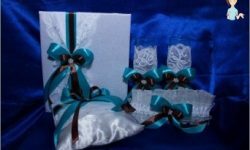 We are talking about the wedding attributes, which completes the uniform style. I remember my wedding, and my heart stops of excitement and trepidation that have been invested in training is complimentary, book Wish, Glasses, candles and guest cards. I want to talk about his preparation for thisremarkable event. Let's start with the invitations. 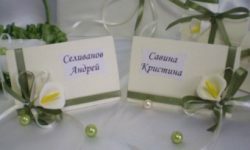 Wedding invitations can tell a lot about the upcoming celebration guests. They will give the importance and the thrill of the upcoming events in your life. And if they are also signed by hand, guests will appreciate your concern about each of them. 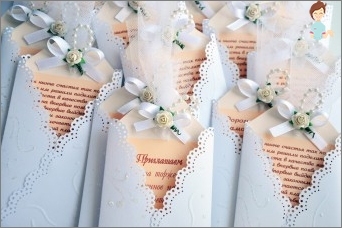 Make invitations to the wedding with his own hands, it is not difficult. Feed pink - coral color, 2 cm thick. And the final stage, with glue - gun, glue bows to the left side of the invitation. Just where we grab the ribbon. 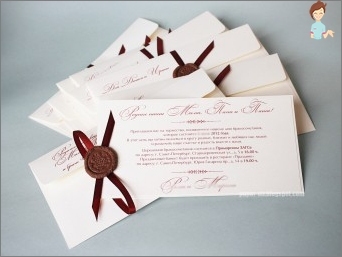 That such receive invitation to the wedding. Color ribbons you can pick your own. We selected it in the color of the shirt of the groom and the bride's bouquet. 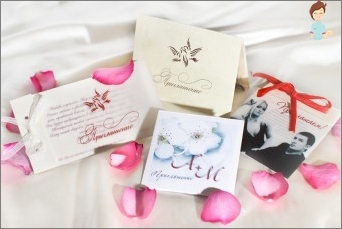 Wedding invitations handmade - it is fashionable, modern and elegant!